Meet Après Jewelry, the new fine jewelry line designed by the mastermind behind Luv Aj. 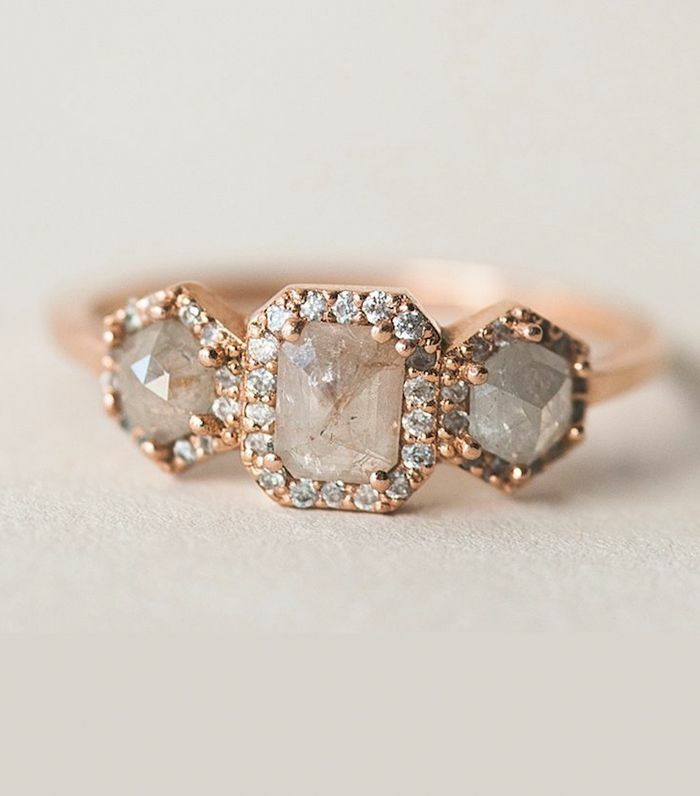 Amanda Thomas launched her second jewelry brand today, and this time, the focus is on affordable and unique engagement rings. “It’s an alternative bridal line that specializes in chic (and affordable!) engagement rings, wedding bands, men’s bands, bridesmaids gifts, the whole nine yards. When I got engaged, I was shocked at how few and far between the options were for cool rings that had substantial sized center stones but weren’t a million dollars, so this is my answer to that dilemma,” Thomas explained in a press release. With several different diamond shapes and an array of earrings and necklaces, the line is full of absolutely stunning and surprisingly affordable jewels. For rings, prices range from $1100 to $3500 and above, and for other jewelry essentials like earrings, prices start at $75. To give you a taste of the newly launched line, we’re sharing a few of our favorite engagement rings below. Be the first of your friends to check out and follow Après Jewelry. Up next, shop under-$100 necklaces that only look expensive.